My July featured Denali National Park, The Museum of Pop Culture (MoPOP) in Seattle, and the continuation of Deja Vuey’s 2017 Chicago Farmers Market Tour. Pearl Jam is one of those bands that I was obsessed with in high school that I don’t really connect with anymore but I heard “Sirens” playing at MoPOP in Seattle and it caught my ear. 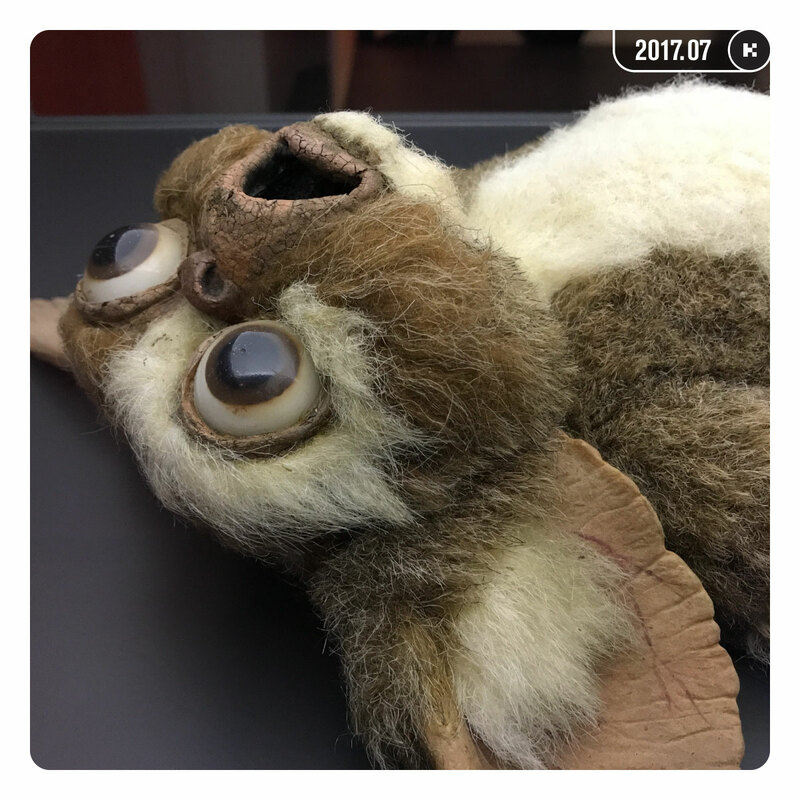 Photo: Animatronic Gizmo puppet from Gremlins (1984) on display at MoPOP in Seattle, Washington. Photographed July 3, 2017.